A small sweetshop selling unique & outstanding sweets- unmissable if u r in Jodhpur. 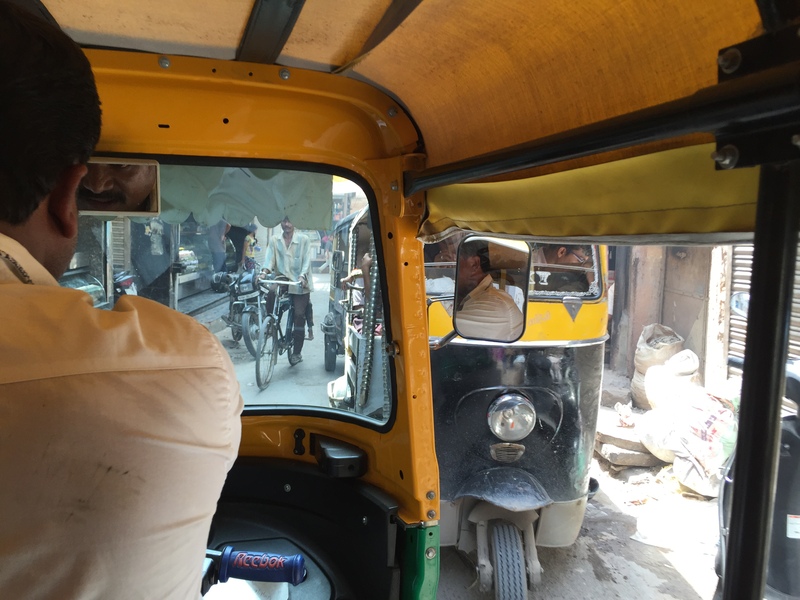 Sher Khan & his auto rickshaw was one of the best things that happened to us in jodhpur trip. This guy knew all the lanes & by-lanes & most importantly, all the eateries. 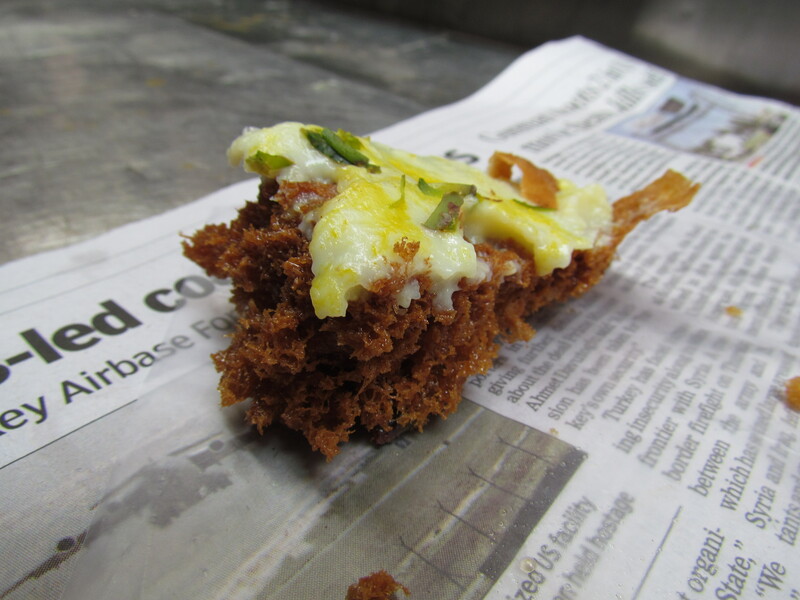 You might try calling him in case u want a foodie tour – Mr. Sher Khan, mobile number +91 9799883445. The shop was standard, square Indian sweet shop with a big see thru glass counter at the front & people standing at the back. Customers stand at the road & buy over the counter. If they want to eat there, they stand on the road & eat. The lane in which the shop was located was narrow. 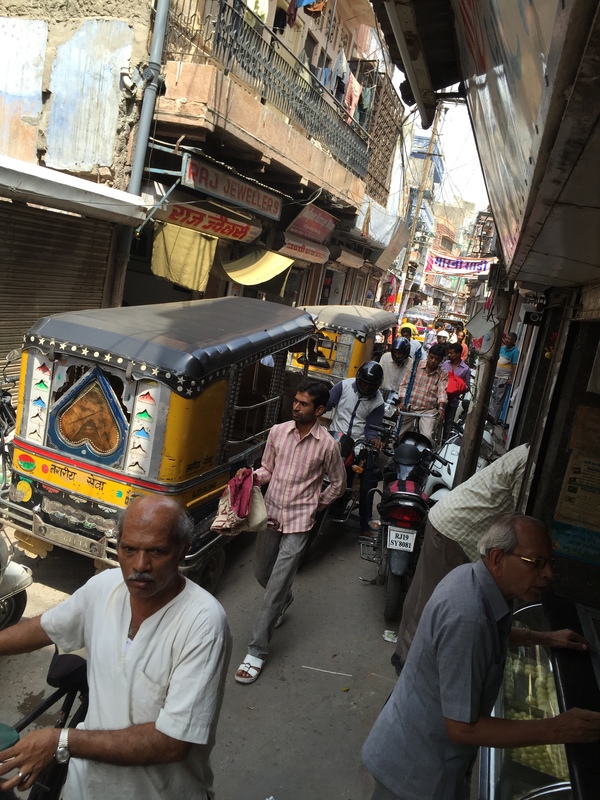 There were people walking, cycles, scooters, motor bikes, auto rickshaws & at times cars also in them. 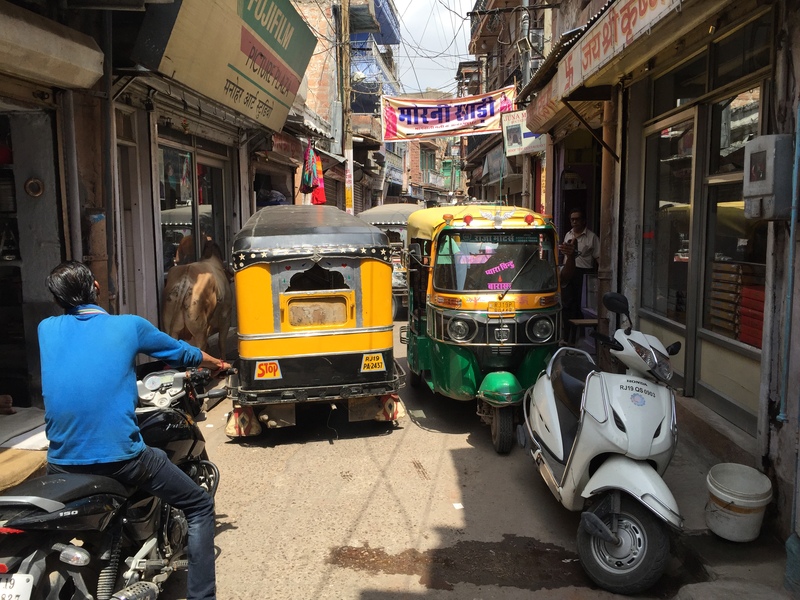 Result – massive traffic jam in tiny lane. 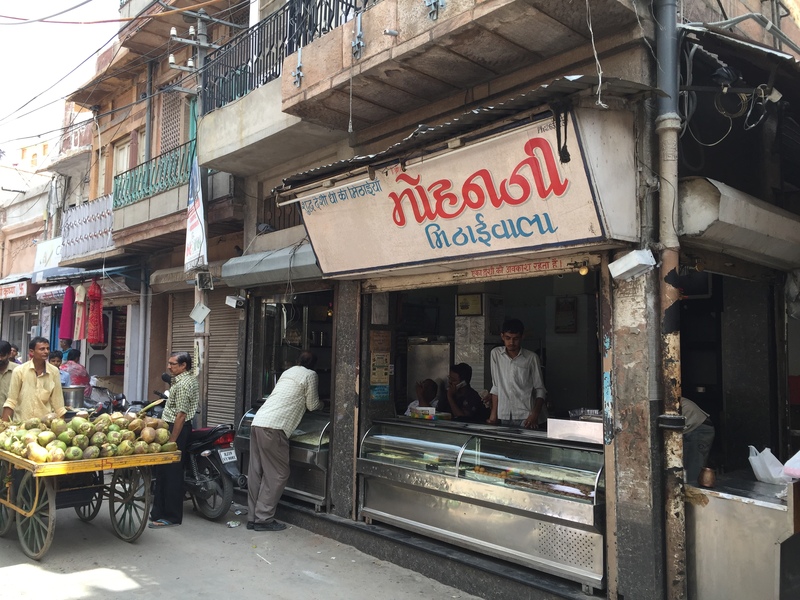 At times it wud b so acute that pedestrians wud also get stuck – they cud not move any more…..& amidst all that we were standing on the side of the road, in front of the shop, clicking pics of sweets & eating them too. As we were midway of having sweets, a large bull suddenly decided to join the commotion & that multiplied the chaos even further. Like most sweet shops this one did not have any menu card as all offering was laid in front. Service was indifferent but efficient. 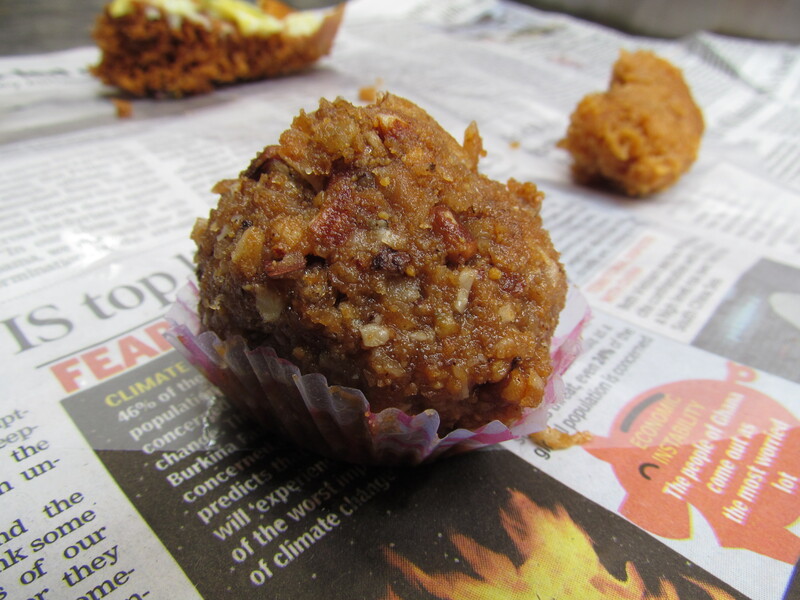 We tried the besan Laddoo. 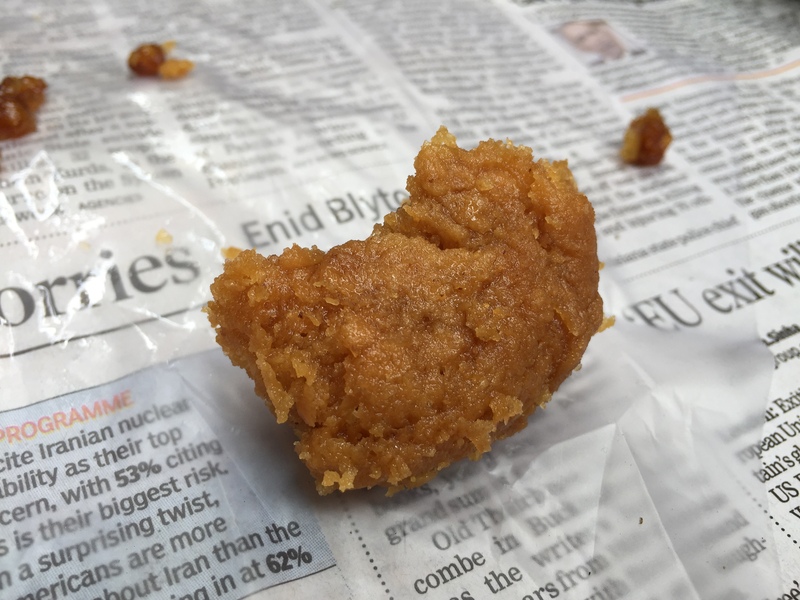 This was very different to the usual besan laddoo. 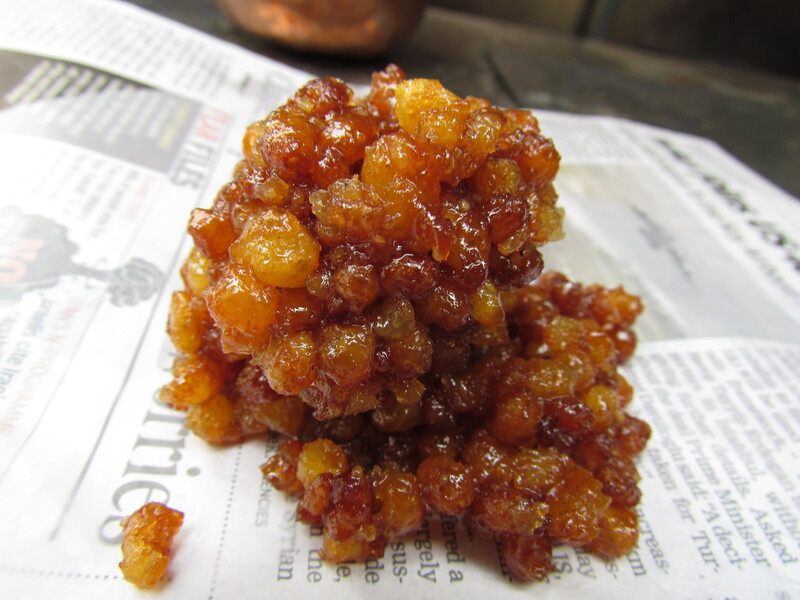 It was made from Boondi made by cooking besan, milk and sugar. There was an extent of milk getting burnt and that led to the dark brown colour and a very mild bitterness. Awesome is the word. Unique for sure. 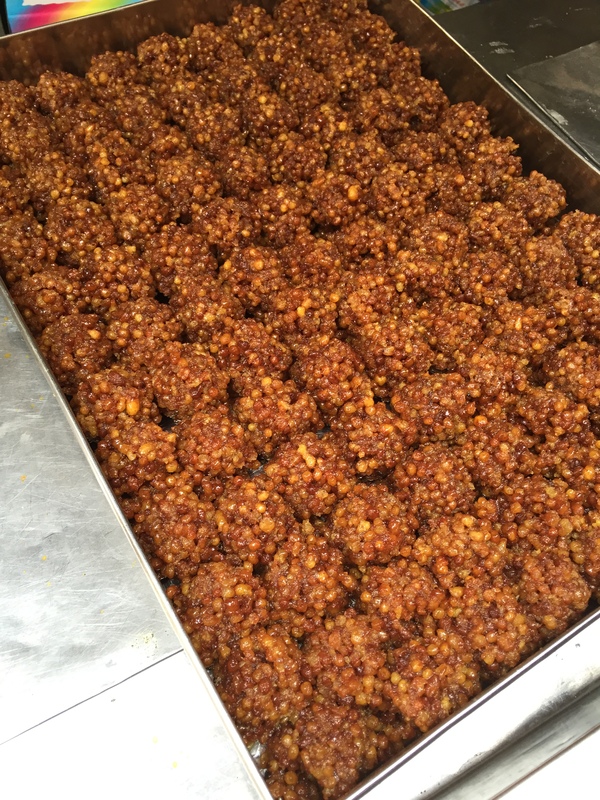 Super loved these laddoos. Rate it 4.75/5. 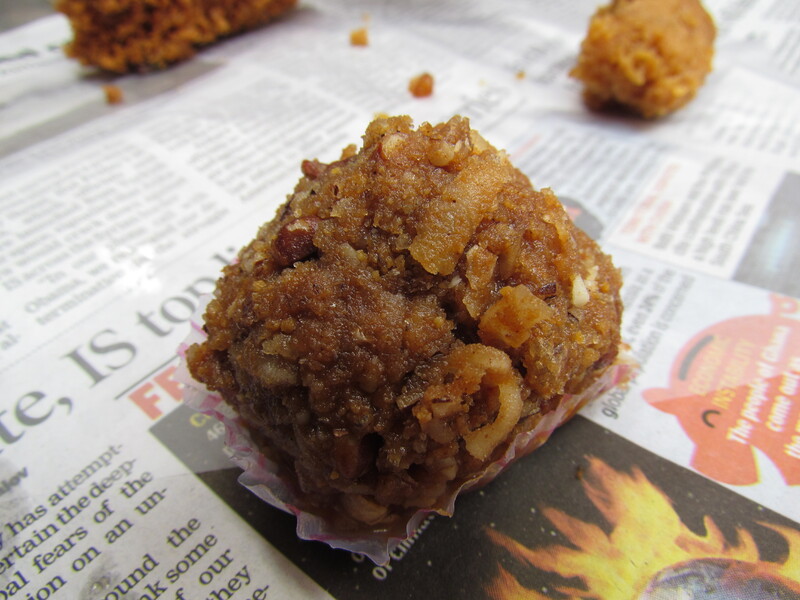 Gond Ka laddoo with singhare Ka atta was awesome again. For the uninitiated, Singhara is a fruit. Ghewar – this was one of the best I have had in a while. 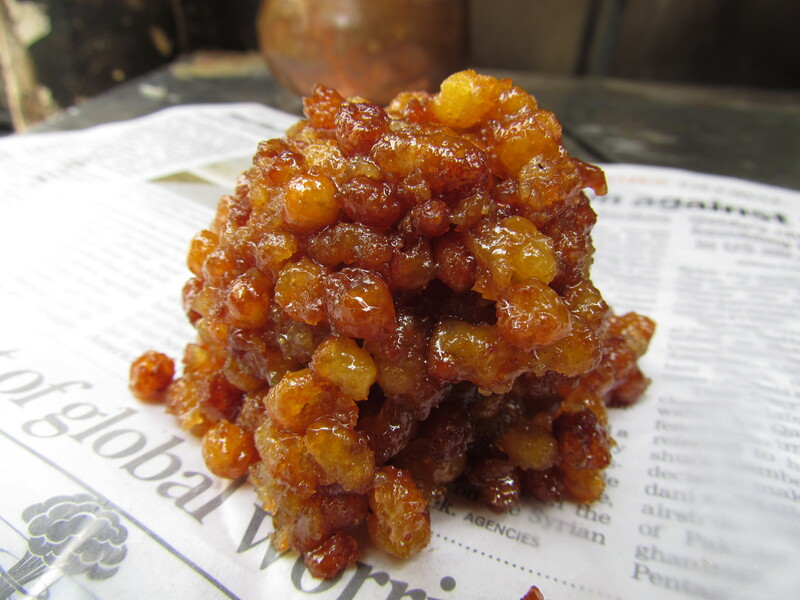 The base was crisp and darker than the variety available in delhi. The sweetness was optimum, not Ras trickling down from all sides. 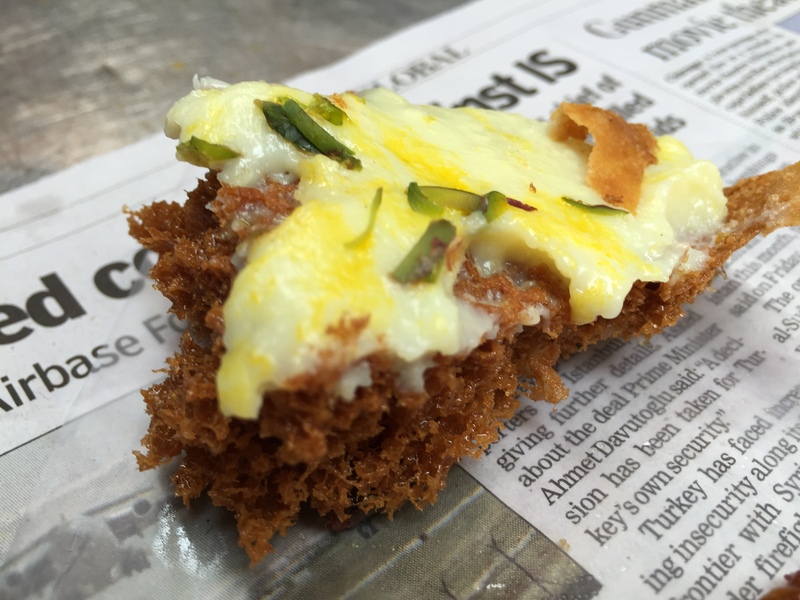 The topping was creamy and nice – had a sweet and salt taste that balanced the sweetness. Loved it and rate it 4.5/5. 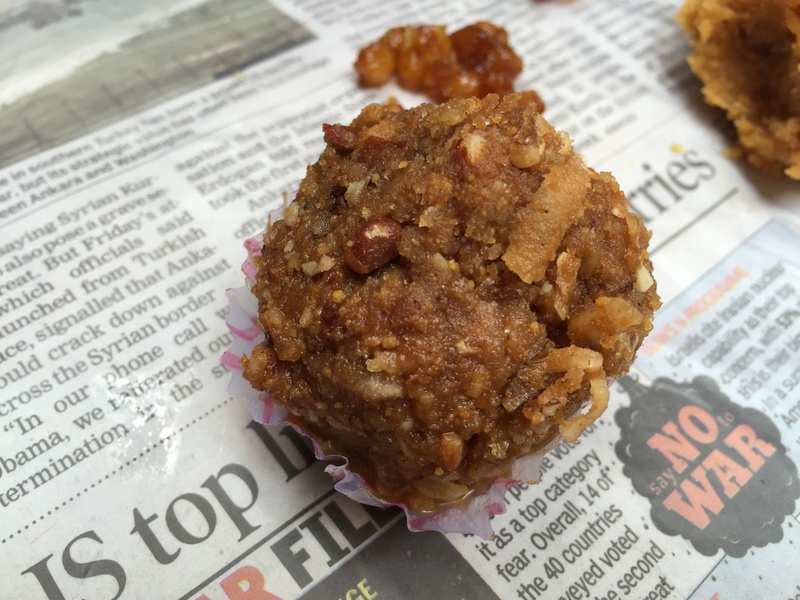 Overall rating of sweets at Mohanji averages out to 4.63/5. Again, unmissable if u r in Jodhpur.